Wheezing is a common childhood symptom, and is usually means a child is having some trouble breathing. Although often associated with asthma, it is important to keep in mind that many infants and younger children wheeze when they get common viral infections, such as RSV. They may never wheeze again and may not develop asthma. Wheezing is usually described as a high-pitched whistling sound that can sometimes be heard when a child is breathing in or out. It is also important to make sure that your child is really wheezing. Some parents confuse nasal congestion with wheezing. When a child is wheezing, most people's first thought is asthma, but it is important to remember that not all wheezing is asthma, especially if it is your child's first episode of wheezing. If no one else in the family has asthma or other "allergic" conditions, such as eczema, food allergies, and hay fever, it is probably not asthma. If your child has repeated episodes of wheezing, even if he gets better in between attacks of wheezing, then he may have asthma. Other clues that might help point to the cause of your child's wheezing might include wheezing that only occurs after eating certain foods or getting an insect bite -- both signs of an allergic reaction. Wheezing that begins with a choking episode may mean that your child inhaled something into his lungs. You can't always hear wheezing without a stethoscope until it gets very bad, so if you suspect that your child might be wheezing, don't wait until you can easily hear the wheezing before you seek medical attention. "Stridor" is a sound that children with croup often make and it is often confused with wheezing. Wheezing is not the only symptom of asthma. 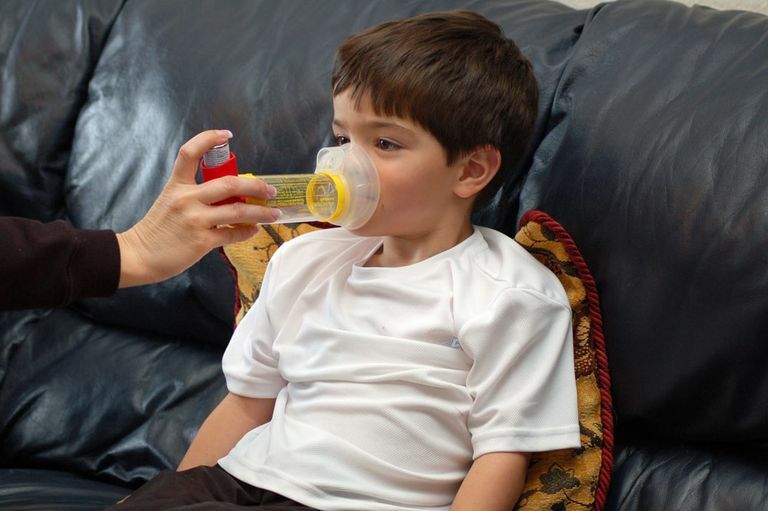 Some children only have a cough when they are having an asthma attack. If your child's wheezing is not getting under control, a referral to a pediatric pulmonologist might be helpful.